We love helping our neighbors find their dream home! Receiving letters like these makes the entire staff so proud we have to share! I don’t have enough words to thank Sergio, Liz and all of the Prime Home Loans staff for all the support and help we received with our home purchase and Refinance. 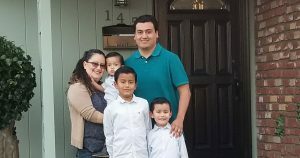 We had been trying for over a year to refinance our home in San Jose and purchase a home in the Watsonville area, to move locally. However, that was not possible due to us not being able to find a reputable lender to assist us with our transaction. My husband and I were looking for someone we could trust and who would have the patience to help us through both transactions at the same time. The day we met with Sergio for the first time, he immediately calmed down our fears of working with lenders due to bad experiences in the past and spent a couple hours with us answering all our questions, and helping us draw a map to the goals we wanted to accomplish. Did I mention the hours he spent with us were also with our three children ages 8, 4 and 1 inside the room? Sergio was very understanding and even encouraged my children to bring toys into the room to keep busy while he discussed our options with us. He did not pressure us to make a decision. As a matter of fact, he patiently waited for us and encouraged us to compare rates with other lenders. I did obtain quotes from other lenders but the customer service we received from Sergio and all the staff at Prime Home Loans was unbeatable. 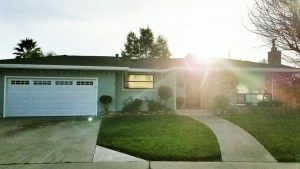 We finally found our dream home but it was a short sale which brought on many uncertainties and roadblocks. Many times we even doubted we would be able to close the transaction. After almost 8 months of waiting for bank approval, multiple lenders finally approved our purchase but they gave Sergio strict deadlines and only a couple of weeks to close. I remember telling Sergio there is no way that was going to happen, and Sergio and Liz said to me time and time again “Prime loans will not let you lose your dream home. If this is the house you want, we will make it happen in two weeks.” Well, needless to say Prime Home Loans worked after hours and went above and beyond to close this transaction for us. I could not believe it when Sergio called and said “IT’S DONE. CONGRATULATIONS”. We had purchased our dream home in Watsonville and refinanced our other property at the same time. There is no way we would have our home if it wasn’t for Prime Home Loans. We owe them everything. Sergio went above and beyond his job duties to provide amazing customer service to us and now we consider him like family and will be happy to refer him to everyone we know. Prime Home Loans is not your typical lender. They really do care about helping you, and they treat you like family. If I could say everything they did for us I would need a few pages to list all the smiles they brought to our family, but the least we can do is to say they are absolutely amazing and definitely deserve a five star rating. When I consider purchasing again, I will definitely be going back to Sergio. Thank you Prime Home Loans for helping us obtain our dream home!.